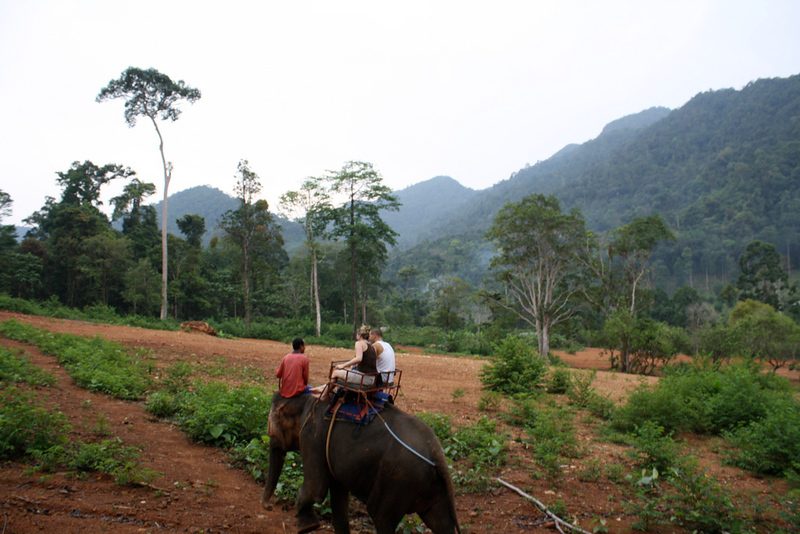 Koh Chang (“Elephant Island” in Thai) has only recently popped onto the tourist radar. Prior to the late 1990s, this beautiful island on the east coast of the Gulf of Thailand was home to little more than a few beachfront bungalows and small hotels. Although Koh Chang has been transformed by tourism over the last decade, it’s still one of Thailand’s least developed large islands. If you’re searching for a less touristy experience and a great place to relax and unwind, you’ll likely find it here. From five-star resorts to bamboo bungalows, Koh Chang’s diverse selection of places to stay and things to do make it one of Thailand’s most attractive islands. Koh Chang’s most popular beach, White Sand Beach is conveniently located relatively close to the ferry terminal. Home to a good selection of resorts and restaurants, White Sand Beach is a pretty beach that, while crowded by Koh Chang’s standards, is still a great place to relax. Located just south of White Sand Beach, Klong Prao Beach is home to several luxury resorts and a selection of great seafood restaurants. Far less crowded than White Sand Beach, Klong Prao Beach is great for sunbathing, swimming and enjoying the sunset. White sand, clear water and beautiful sunsets make Kai Bae Beach a great place to stay on Koh Chang. This small, quiet and relatively undeveloped beach is home to a mix of luxury resorts and cheap backpacker accommodation. Lonely Beach is Koh Chang’s backpacker central, offering some of the island’s cheapest accommodation and drinks. Cheap bungalows and all-night parties make Lonely Beach a good choice for backpackers, but not the best place on the island for rest and relaxation. 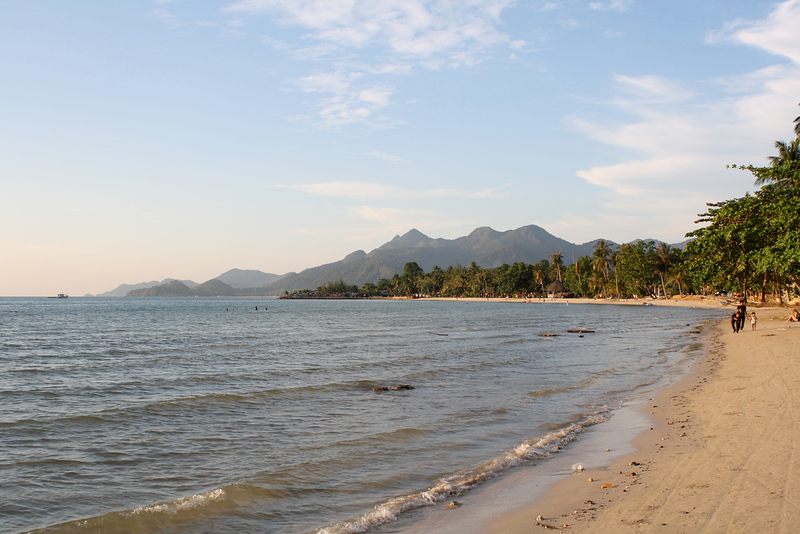 Located on Koh Chang’s southern coastline, Bang Bao Bay is a quiet beach that’s rarely crowded. The nearby pier is where most diving and snorkelling tours around Koh Chang depart from. Buy Tickets To Koh Chang. Use the search box below to find out departure times and prices on your selected travel dates to Koh Chang. Koh Chang’s beaches are beautiful, quiet and incredibly uncrowded. White Sand and Kai Bae offer the best mix of convenience and beauty, while Klong Prao is a long, quiet stretch of sand that’s perfect for beach walks and swimming. Although Koh Chang’s underwater life is less spectacular than Koh Tao and Phuket, there’s still a good selection of snorkelling spots around the island. Snorkelling day trips are available from several tour operators, most of which take you to a selection of different islands. 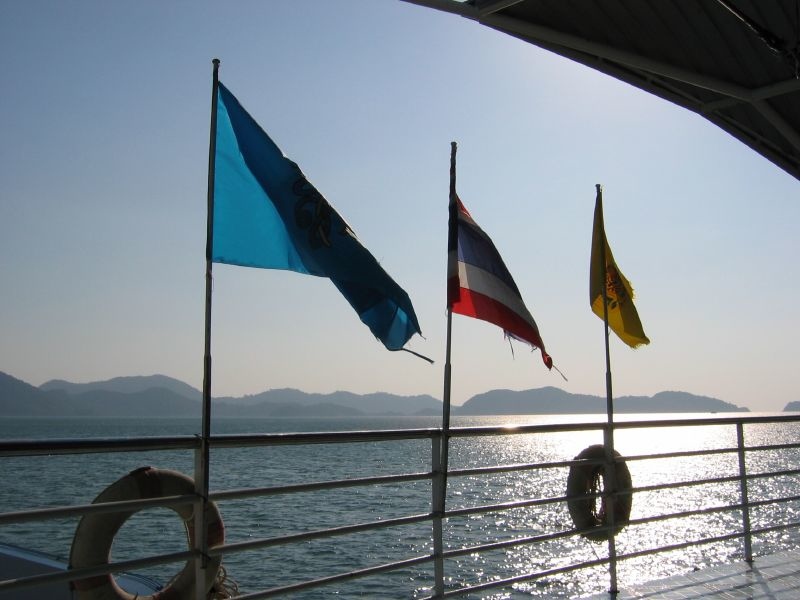 There are several dive shops on Koh Chang offering chartered dives and more. 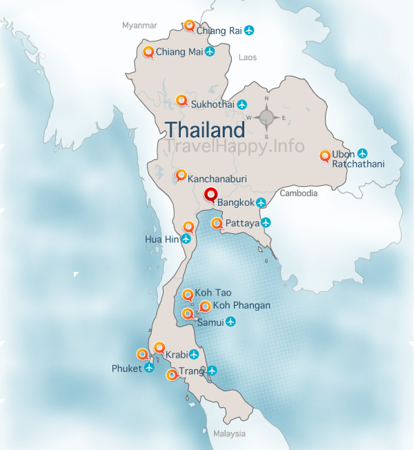 Although Koh Chang is less of a diving hotspot than Koh Tao, it’s still a good place to dive and a great place to get your PADI or SSI dive certification. Koh Chang’s mountainous interior is home to several impressive waterfalls. While most of the waterfalls are only accessible after a long and often dangerous hike, Klong Plu is easy to get to on foot and a great place to take a dip in the warm, fresh water. 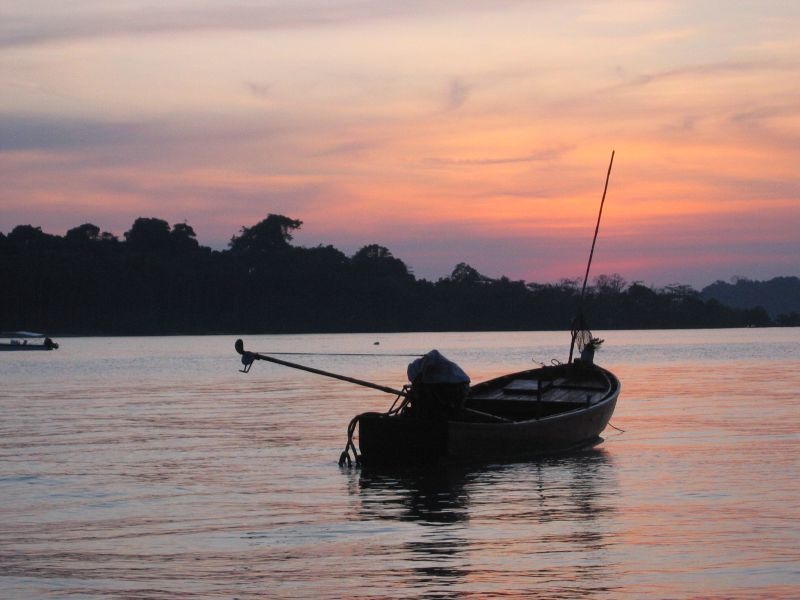 Barracuda, sail fish, marlin and numerous other big game fish make Koh Chang one of the best destinations in Thailand for fishing. Deep sea fishing tours, usually followed by a beach barbecue, are available from several tour operators. Koh Chang’s relaxed atmosphere makes it the perfect place to brush up your Thai cooking skills. Cooking classes covering a selection of well-known Thai dishes are available at Blue Lagoon Cooking School and Koh Chang Thai Cooking School. Located on quiet and peaceful Kai Bae Beach, The Chill Resort and Spa certainly lives up to its name. This stylish five-star hotel offers a selection of rooms and suites, ranging from pool access rooms to private pool villas. With its beachfront bungalows and pool villas, Gajapuri Resort and Spa offers one of the best holiday experiences on Koh Chang. This comfortable four-star hotel is just a few steps away from Kai Bae Beach, making it perfect for sleeping in and enjoying the beach. With a 50 metre lap pool, beachfront dining and a luxurious spa, The Emerald Cove offers an amazing experience for travellers that want to feel pampered. Located directly on Klong Prao Beach, The Emerald Cove is one of Koh Chang’s most luxurious hotels. Although it’s a couple of minutes from Klong Prao Beach on foot, Bhu Tarn Resort’s large swimming pool and gorgeous garden make it feel like it’s beside the beach. This three star resort offers large rooms and modern facilities in a relaxing, quiet environment. Located right on Klong Prao Beach, Koh Chang Paradise Resort offers a selection of rooms, bungalows and private pool villas. Rooms are spacious and comfortable, while the beachside restaurant is perfect for enjoying Koh Chang’s warm sunshine. Located on Lonely Beach, Nest Sense Resort is a luxurious villa resort in an area that’s better known for its cheap bungalows than its comfortable resorts. A good choice for travellers that want to be close to the nightlife but don’t want to sacrifice comfort. With a location right on White Sand Beach and a selection of modern rooms, Du-Talay Hotel is one of the most luxurious budget hotels on Koh Chang. Seaview rooms and jacuzzi suites make this a great choice for budget travellers that want to enjoy some extra comforts. Although Pajamas Koh Chang Hostel offers hostel-style dorm accommodation, its facilities are more in line with a four-star hotel than the typical backpacker’s hostel. A great common area and refreshing outdoor pool make this a great budget accommodation choice. 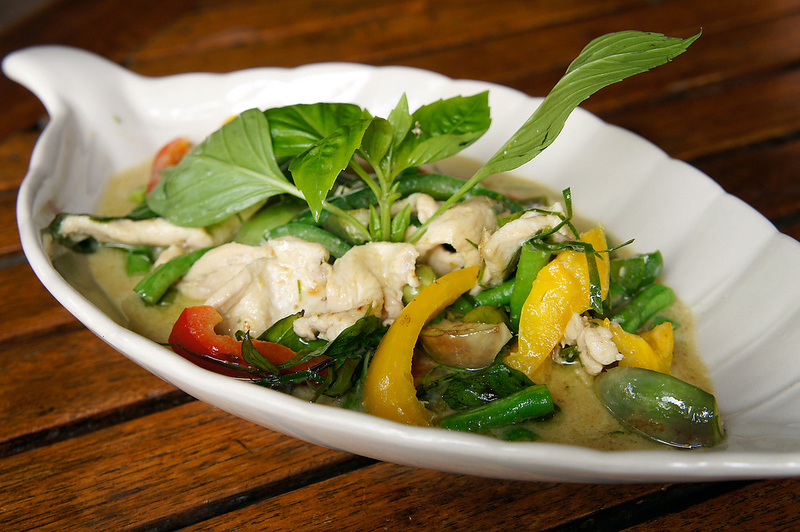 Ka-Ti Culinary Restaurant serves a great selection of Thai dishes in a charming location close to Klong Prao Beach. There are several Italian restaurants on Koh Chang, but few match Marco & Jo. Located in VJ Plaza Shopping Center, this restaurant serves a selection of simple but tasty Italian dishes. Located inside Siam Royal View resort, The Beach Club serves a selection of Thai classics as well as a range of dishes from France and Switzerland. Located inside a Thai-style building close to Klong Prao Beach, Baanta Restaurant serves a selection of great Thai seafood dishes. This large restaurant on White Sand Beach is hard not to notice. The White Elephant serves a mix of Thai and European food as well as a selection of beers and cocktails. Beach Tango serves a great selection of Thai dishes, curries and fresh seafood in a location right beside White Sand Beach. A short walk from Lonely Beach, The Kitchen offers a great selection of cheap and tasty Thai meals, as well as fresh fruit shakes. Although there’s no airport on Koh Chang, the nearby airport in Trat is a convenient way to get to the island without spending several hours in a bus. Bangkok Airways has three flights daily, which depart at at 8:30 am, 11:40 am and 5:10 pm. Check Skyscanner to compare airlines for the best prices and flight times to Trat. Van transfers from Trat Airport to Koh Chang are available from 500 baht, including the cost of the ferry ticket. Public buses from Bangkok to Koh Chang depart from Ekkamai Bus Station and reach Koh Chang in approximately five hours, with two trips daily departing at 7:45 and 9:45 am. Most bus services terminate at Koh Chang Ferry Pier. Once you’re on Koh Chang, songthaews (covered pick-up trucks with seating) provide quick and simple transport between the beaches.